Setting up a new business can be a complex and stressful exercise, and often requires compliance with a number of legal procedures. Having an excellent business law attorney by your side to advise you throughout the process will go a long way in removing the administrative burden of establishing a new business, so that you can focus on the important task of bringing your new venture into operation. At the offices of Gary I. Handin, PA., our business law practitioner and experienced staff have experience in a range of areas, and will be able to provide you with the legal assistance you need. Our commitment to exceptional client services and our wealth of legal experience make our services a cut above the rest. The Limited Liability Company (LLC) is one of the most popular business structures available, as it protects business owners from personal liability, allows for pass-through taxation, and generally provides for a very flexible business structure. Whether you’re at the start of your business journey or are looking to branch out from your original business, it is highly recommended that you consider using the LLC business structure to organize your venture. While it is possible to register an LLC yourself, the LLC structure is relatively new and the registration process can be complex. The flexibility of the structure means that you will need to navigate a number of important choices in order to develop an organizational structure most suited to your business needs. Consulting an attorney when choosing a name for your business, appointing a registered agent, and writing the Articles of Organization will ensure that your business is given the best legal foundation possible. At Gary I. Handin, P.A., we are here to guide you through the process, take care of all the necessary documentation, and ensure compliance with filing requirements, so that you can focus on the real work of bringing your new business into operation. Whichever business structure you have used to organize your business venture, it’s important to understand the legal obligations imposed by the Florida Statutes regarding the hosting of Annual General Meetings and recording of Corporate Minutes. In Florida, corporations are required by law to hold AGMs and keep a record of the minutes, whereas LLCs are not required to do this. The attorney and staff at Gary I. Handin, P.A., will advise you on your obligations and help you to ensure that you have the necessary compliance structures in place. Even if your organization is not required to keep minutes, we will strongly recommend that it does and will guide you on setting up an effective records system so that your business is always covered in the event that evidence of meetings becomes vital in litigation. The attorneyand staff at Gary I. Handin, PA., also have experience in the preparation corporate bylaws and will advise you on how best to set out your business’s operating rules and procedures. Although bylaws are not legally required, they help to better establish the structure of your business, and will greatly enhance the legitimacy of your operations. Whether you’re looking to raise capital for your business through a securities offering or are planning to incentivize your employees through the creation of a stock option agreement scheme, it is important to obtain sound legal advice on all stock issuance transactions. Our business law specialists will help you to make sure that your business complies with all securities laws, that all the necessary documentation is properly prepared, and that your interests are fully protected. 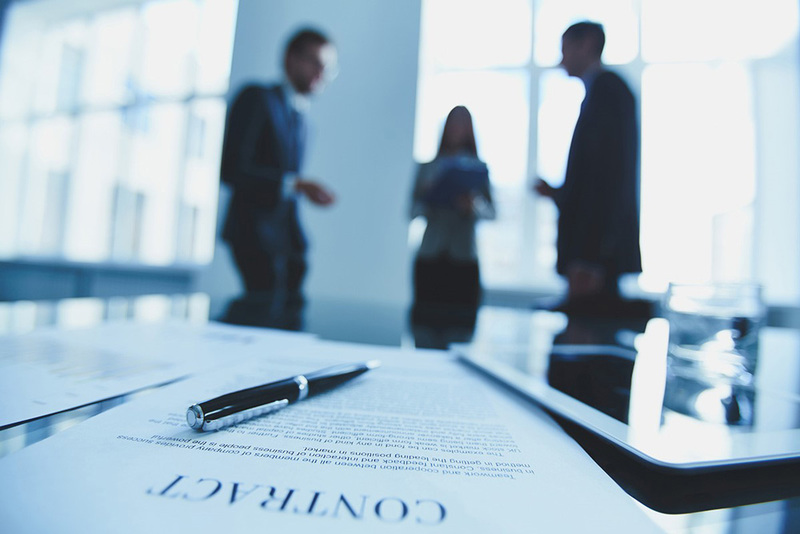 Forming a corporation can be a daunting task. Corporations are complex business structures and there are a number of important decisions to think through before incorporating. It is necessary to carefully consider what clauses you will include in your Articles of Incorporation, who your registered agent will be, how you will structure your stock, and what your stated corporate purpose will be. It is essential to consult an attorney as you navigate these decisions, as you want to be sure to give your business the most practical and beneficial structure possible. Consult with Gary I. Handin, P.A., for expert legal assistance during your incorporation process. Our attention to detail and comprehensive legal knowledge will ensure that your business is structured for success. The Florida State Department of Revenue assigns individual sales tax numbers to all registered businesses to use as its sales tax ID number. The State requires the certificate number for certain categories of businesses, which it then uses to collect, pay and report taxes. Retrieving your sales tax number can be a time-consuming task, which is why the business law specialists at Gary I. Handin, PA., are here to take care of the process of obtaining the sales tax number for you. We will ensure that all the necessary documentation and application forms are in order and submitted, and will do our best to ensure that you obtain your sales tax number as quickly as possible, hassle-free. Once you have incorporated your new business in Florida, the most important next step to take is to obtain a federal ID number, also known as an Employee Identification Number (EIN). These are nine-digit codes which are used by the Internal Revenue Service for identifying your business. Obtaining a federal ID number is necessary for opening a corporate bank account, taxation and other purposes, and must be done as soon as possible. At Gary I. Handin, PA., we will not only help you incorporate your new business but will also be able to assist you in obtaining a federal ID number as quickly as possible so that your business operations may commence immediately. We will take of compliance with all the required application procedures so that you can focus on establishing your business, instead of being bogged down by bureaucratic processes.